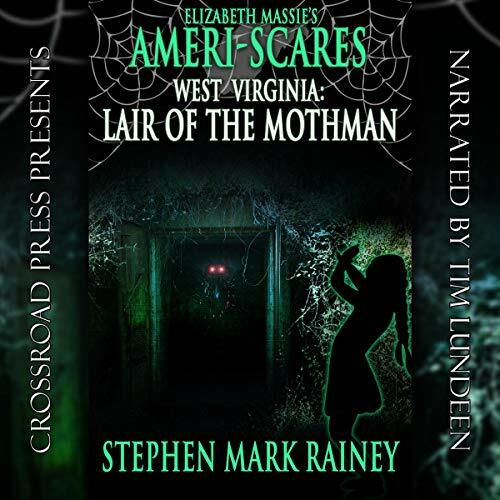 This August was about the sparsest month for blogging ever, but there's been way too much to keep me otherwise occupied, not least of which is my first entry in Elizabeth Massie's Ameri-Scare series, West Virginia: Lair of the Mothman. I've been pounding away diligently at this one, and am currently about a third of the way through the novel. It's my premiere effort at writing fiction for this age group (about 8–13), and it's been both challenging and refreshing. I'll post excerpts and news here and on the Ameri-Scares Facebook page. This past week, Ms. Brugger and I journeyed to her hometown of Midland, MI, to spend several days with her parents, Del and Fern Brugger. I've had the pleasure of visiting that corner of the world a couple of times previously, and this trip turned out to be hectic, relaxing, productive, and, most of all, memorable. Ms. B. 's folks are surely among the sweetest folks I know, which sometimes makes me wonder how Ms. B. developed her unique temperament. 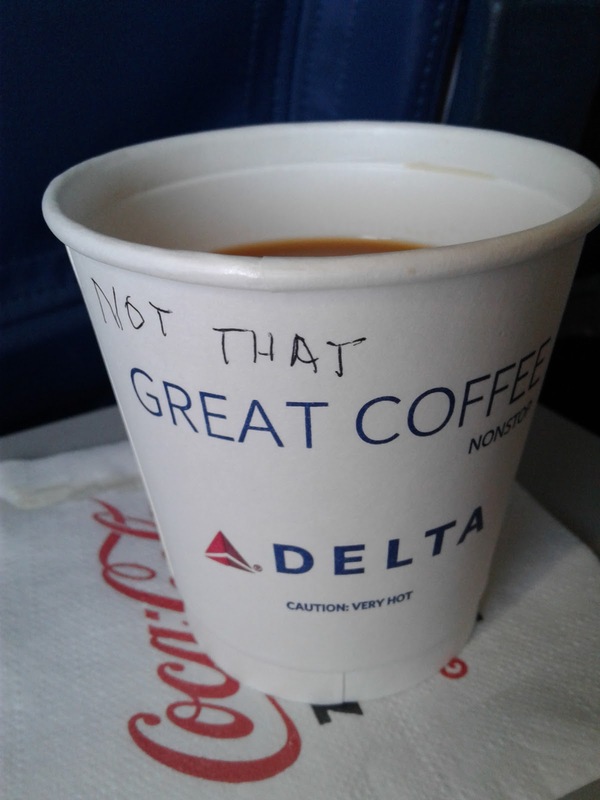 On Wednesday, 8/29, far earlier than the break of dawn, we headed out of Greensboro on a Delta Airlines MD88, made a connection in Atlanta, and arrived in Flint, MI, in the late morning. The Bruggers met us at Bishop International Airport and hauled our weary butts to Midland, about an hour's drive away. 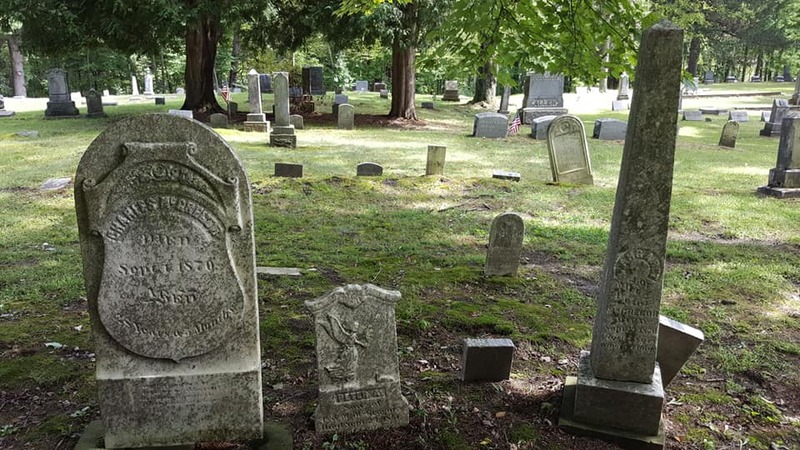 At the Brugger homestead, we were treated to a fine lunch, spent significant quality time together, and then, while the lazy bones among us took naps, the geocacher among us went bike riding and...geocaching. Found several, I did. Since my visit last year, Midland has added a number of venues for spirits, food, and fun, including a "wine garden," which features wine and beer tastings, music, and various vittles. There, we met Kimberly's friend Darren, whom she has known since their dark, distant school days. We enjoyed tasting several red wines—all old world, somewhat to our surprise—and then wandered into Midland's downtown to check out a classy little establishment called Oxygen. All three of us approved of the atmosphere, service, and drinks. Upon our egress, Ms. B. let me grab a couple of geocaches, and then we returned to Chez Brugger to finish the relaxing we had begun earlier in the day. Thursday, 8/30, turned out to be physically strenuous but otherwise rejuvenating. 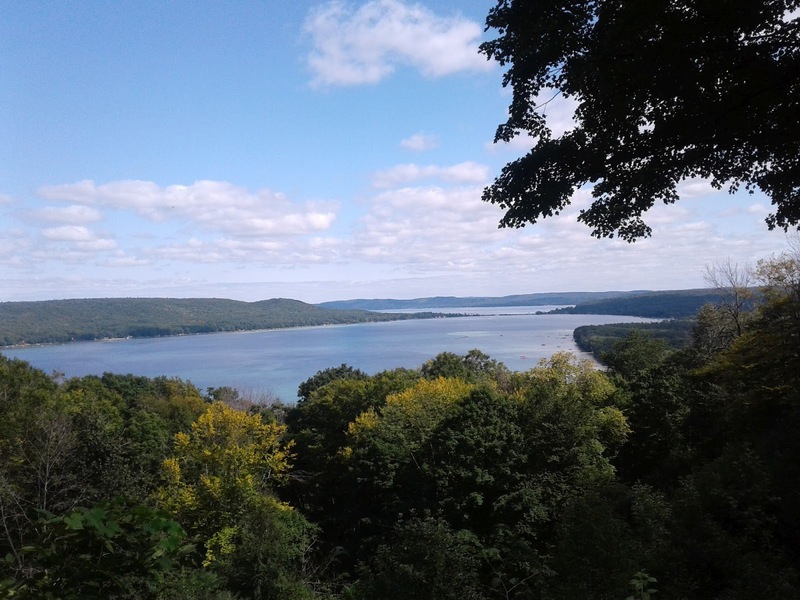 Early a.m., the lot of us set out for Sleeping Bear Dunes, on the northwest coast of Michigan's Lower Peninsula, in Leelanau and Benzie Counties. Just shy of the dunes, we stopped for lunch and a few geocaches in the scenic little town of Frankfort, MI. Here we found Dinghy's Restaurant & Bar, where we slaughtered some damned good barbecued pig, gigantic nacho plates, and tasty burgers. Then it was on to the dunes. 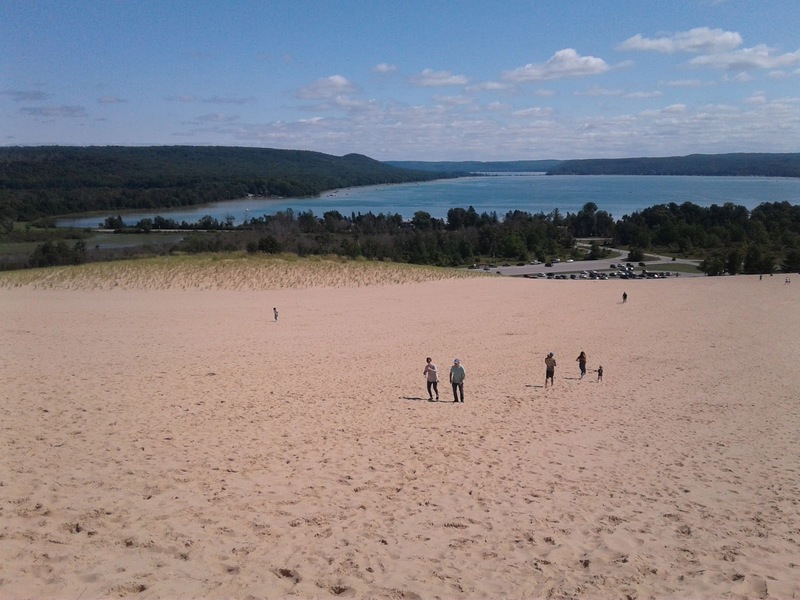 It's safe to say Sleeping Bear Dunes is one of the most impressive locations I've experienced. The dunes are massive, formed by glaciers and rising almost 500 feet above Lake Michigan. From the landward side, one can hike up and over several miles of dune, if one has the stamina. With Kimberly's parents along, we did not attempt the full hike, but her 81-year-old dad did make a good quarter-mile ascent, which was no small feat even for us non-octagenarians. 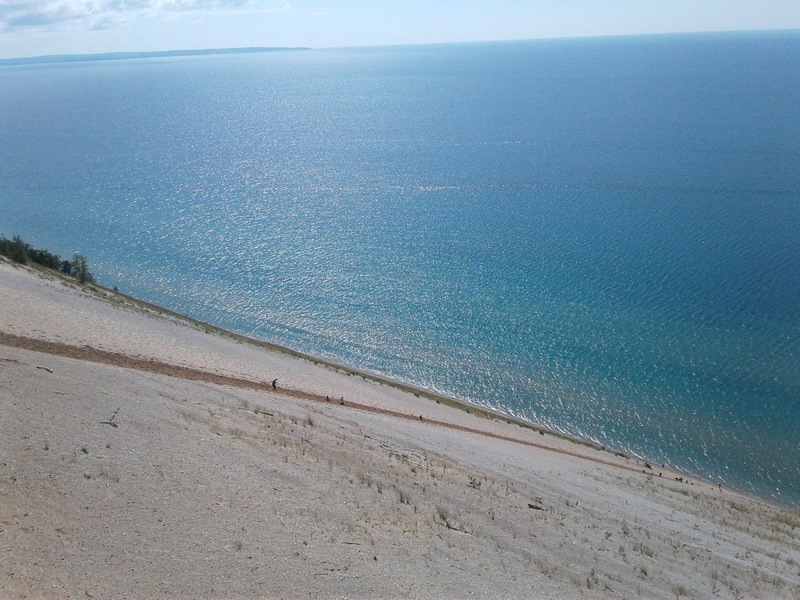 At the overlook above Lake Michigan, you get a spectacular view of the dune, Lake Michigan, and North and South Manitou Islands out to the north. 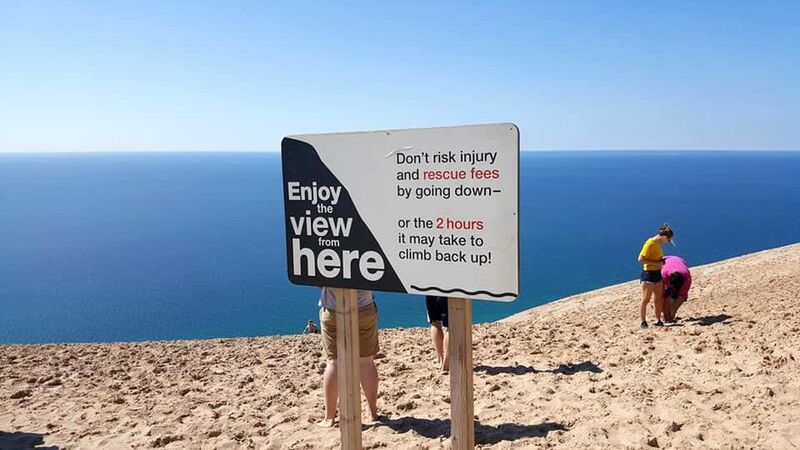 Although there are signs warning visitors not to descend the dunes because it may take up to two hours to climb back up (and if you need rescuing, you are financially responsible for it), dozens of people went all the way down and, presumably, climbed back up. We settled for taking in the view from the regulation overlooks, which provided perfect views of the location. Looking down 500 feet. Those little specks on the dune are people making their ways up and down. Our outing at Sleeping Bear Dunes took a full day, so by the time we arrived back in Midland, it was getting late. During this and several periods of down time, I kept myself busy making considerable forward progress on Lair of the Mothman. On Friday morning, I took a long bike ride around town to hunt some caches. Come lunchtime, Ms. B. and I hit Mancino's for a couple of delicious Italian grinders. (As an aside, Mancino's—and grinders—actually influenced my story "The Veil of Dreams" in Tails of Terror, a new anthology from Golden Goblin Press coming out at Halloween.) During the afternoon, Kimberly and her mom went antiquing, so I made more forward progress in Lair of the Mothman. There was a geocaching event at the Tridge in Midland on Friday evening, so Kimberly and I dropped by to make the acquaintances of some of the local geocachers. I was familiar with a number of them from having found many of their hides. Ms. B. remarked that cachers there are not unlike cachers here, since they are, in general, amiable, intelligent, and creative. I like to think of our breed as dorky but rugged. Then she and I paid a visit to Maru Sushi & Grill, which wasn't inexpensive but proved quite delicious. For afters, we tried a couple of wine flights at Grape Beginnings Winery, which were pretty good, though I don't foresee Michigan wine achieving international renown in the very near future. And there were caches. Saturday found us all heading over to Coleman, some miles west of Midland, to visit Del's sister Betty and her daughter Jeannie. I had met neither of them previously, and it may be said they are distinctly Brugger-ish, in the very best sense. 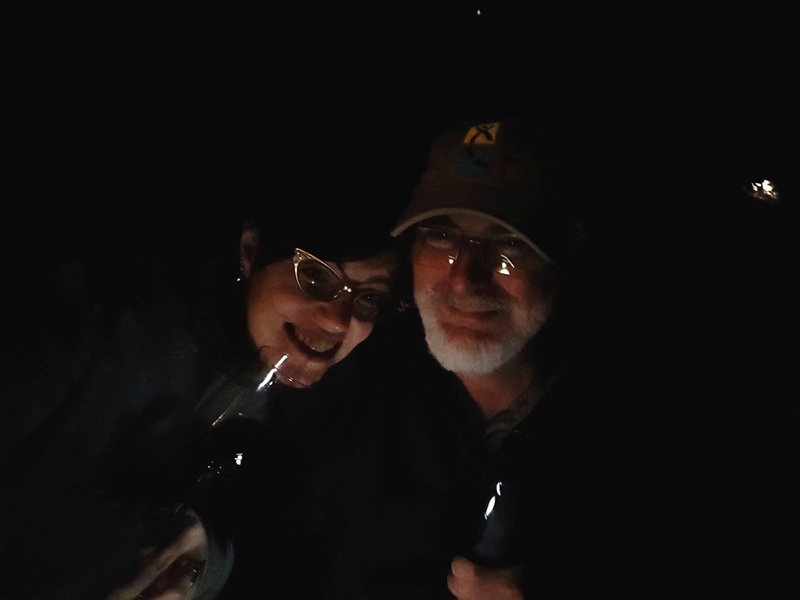 We then sampled some of the wines at Coleman's Currant Mist Winery. See the above comments about Grape Beginnings, as they apply equally here. Ms. B. and I did manage to make our way to Whine!, probably my favorite destination in Midland to sample wine, though our visit was limited to a single glass for each of us, as they were closing early for the Labor Day holiday. Yesterday—Sunday—was mostly mellow, as it was our last full day in Midland, and we had to get up at 3:30 this morning to get to Flint for our 6:00 a.m. flight back home. We did get out to the Freeland Antique Mall so Kimberly could pick up a couple of items that had interested her on her previous visit. 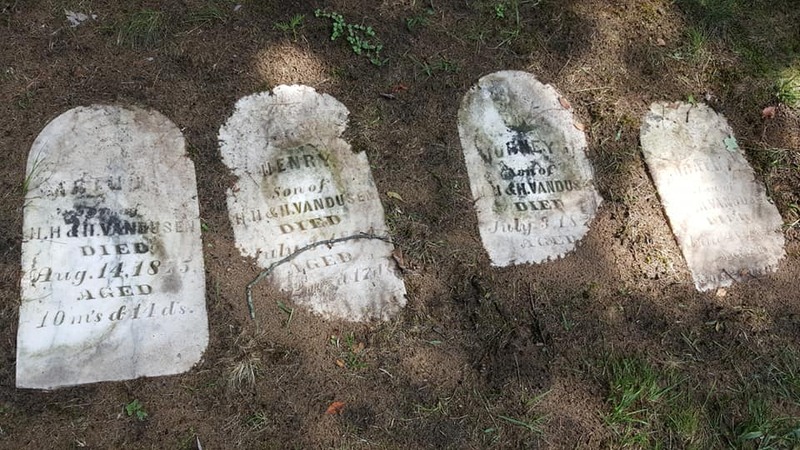 And we discovered a couple of beautiful old cemeteries in my quest for geocaches. We're safely back home now, and Comet TV is running a Godzilla marathon. It's not like I don't have them all to watch whenever I please, but I figure if they're showing, I probably ought to watch them. So I'm watching them and blogging. I hope you're having as nice a day.